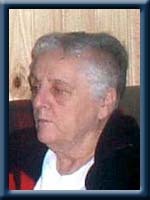 CARVER – Shirley Marie, 74, of West Caledonia, Queens County, passed away peacefully in Queens General Hospital, Liverpool on Sunday, June 24th, 2012. Born in Jordan Falls on March 29th, 1938 Shirley will be remembered fondly as a loving mother and housewife who not only took care of her family, but others in her community as well. She was a talented seamstress and enjoyed looking after children. She is survived by her son Roy of West Caledonia and many sisters and brothers. She was predeceased by her husband Edward and daughters Donna and Ann. So sorry again for you loss. Thinking of you Roy, Amanda & family at this sad time. Roy I know your heart is hurting now, but just know they are not suffering anymore. Thinking of you at this sad time. Your Mom was a very caring woman. Roy you know how bad we feel for your recent losses.Please remember this ….God will not give you more than you can bare…..